“We will wake you up guys at 4 morning!” Lianne, one of the guide for Wicked Adventures shouted to the group. Some of them listened in shock when they hear about the time. 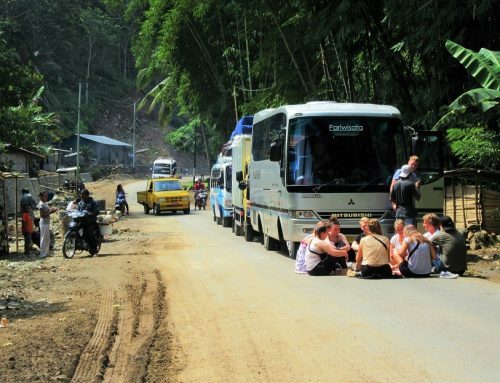 After two days in a row for such a long journey from Denmark to Denpasar, Bali, then Denpasar to Ende, Flores, it seemed like there was a non-stop journey and no time to sleep in for them. Well yeah, at least not for today. One of the “kid” (of how our guides called them) told to Dea, another guide that also following this 34 days Flores trip, “Normally, I woke up at 11 am at home.” Dea just laughed and say to her, “Now, you learn something new.” 4 am is totally the time when sky is still dark, no matter whether it’s in Denmark or Indonesia. But we need to do that. 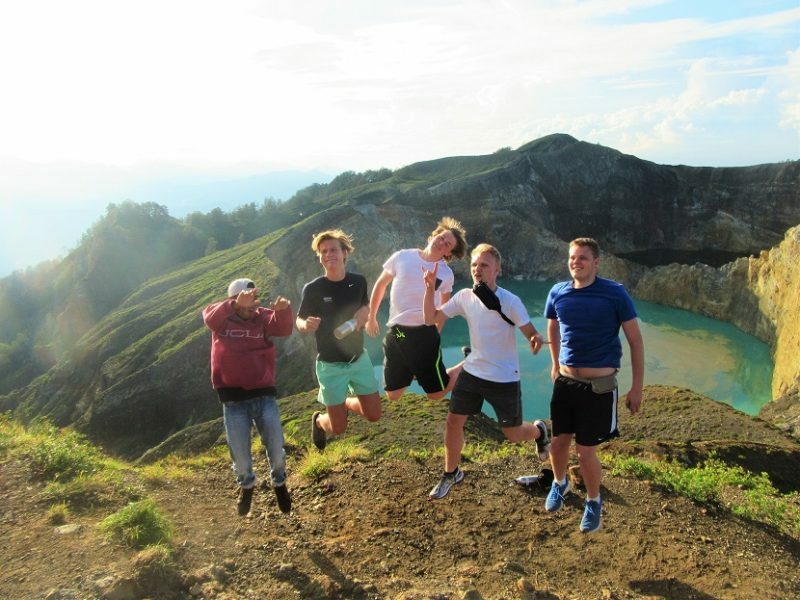 We need to wake up very early because we wanted to see the sunrise on the top of Kelimutu lake. 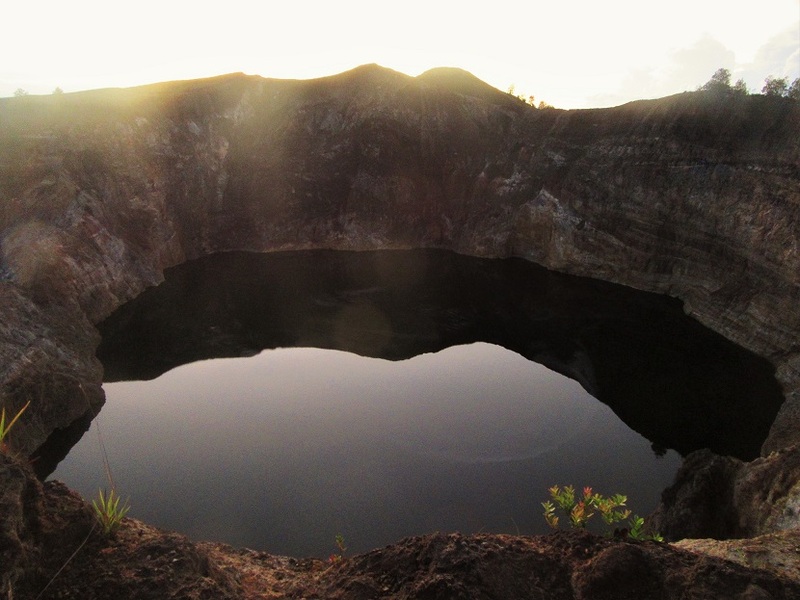 Kelimutu lake is such a famous destination for people who visit Flores. 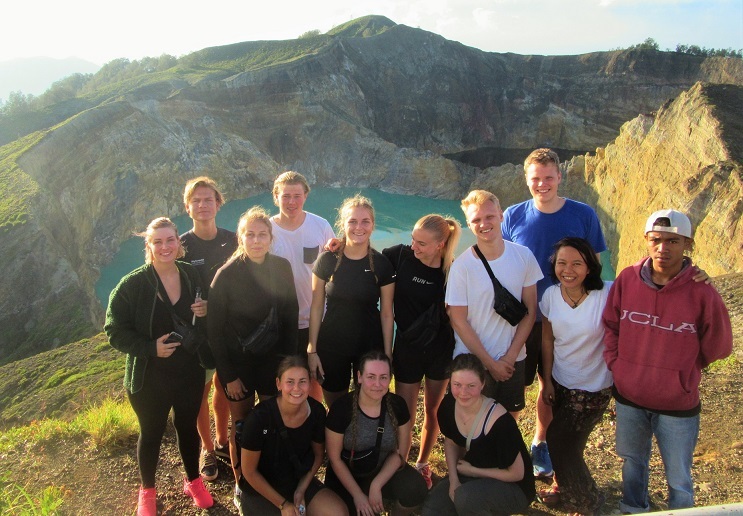 They will heading to a small village called Moni, just 2 hours drive from Ende to stay over for one night or more before trekking to Kelimutu National Park, to see the sun rises up above the colorful lakes. It is very rare to see the lake color changes into black. We were so lucky that day! 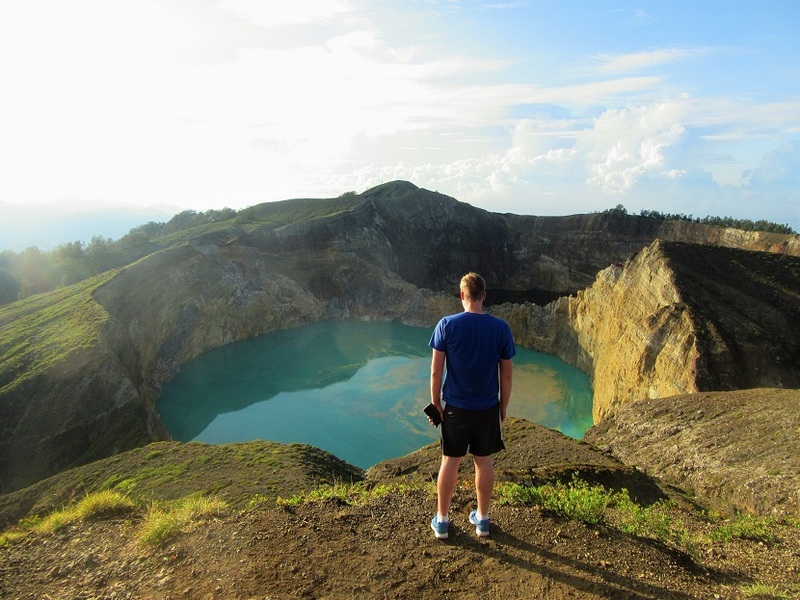 There is 3 wonderful lakes in Kelimutu National Park area. 2 of them are the first ones that we will easily to catch after trekking for about 30 minutes. Local people called this two lakes as Tiwu Nuva Muri Ko Fai and Tiwu Ata Polo. Tiwu Nuva Muri Ko Fai believed as the place of the spirit of young people who already died, while Tiwu Ata Polo believed as the place of bad people spirit. Both are located next to each other and look pretty amazing. Tiwu Nuva Muri Ko Fai is one of the very active volcano lake than the others, it can be seen from the oxygen activity which make the color of the lake changes periodically. When we were there finally, we see the lake in black color while Tiwu Ata Polo in bright blue with some yellow bubbling here and there. Kirk, one of the boy, standing with lots of curiosity about the lakes. Just go up more and we will see another lake which called in local language as Tiwu Ata Mbupu. This separated lake was filled with thick fog that morning. 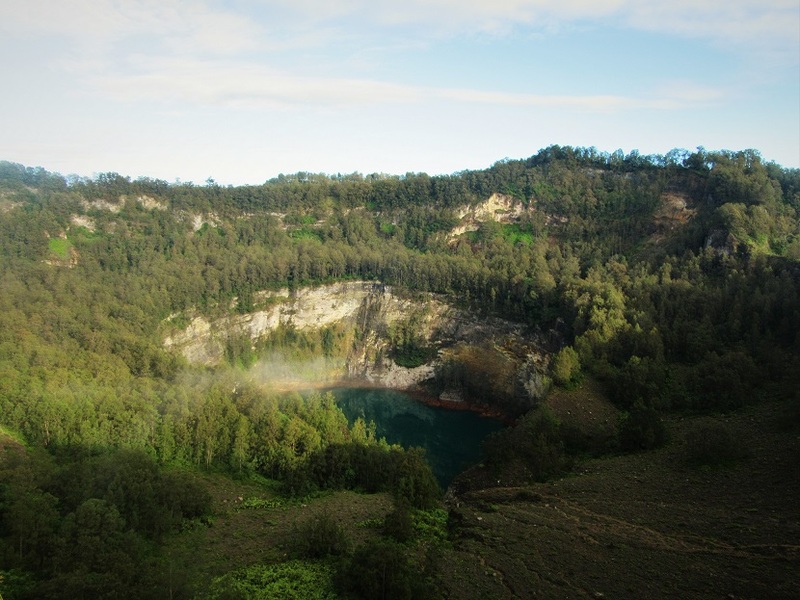 This lake believed as the place of old soul of local people’s ancestor and claimed as the first lake appeared in Kelimutu National Park area. We can see some of trees already growing surround the lake, the sulfur water inside of the lake also started to get drained. Apart of the local legend, science believes the color changes naturally caused because of the mineral inside of the lake. 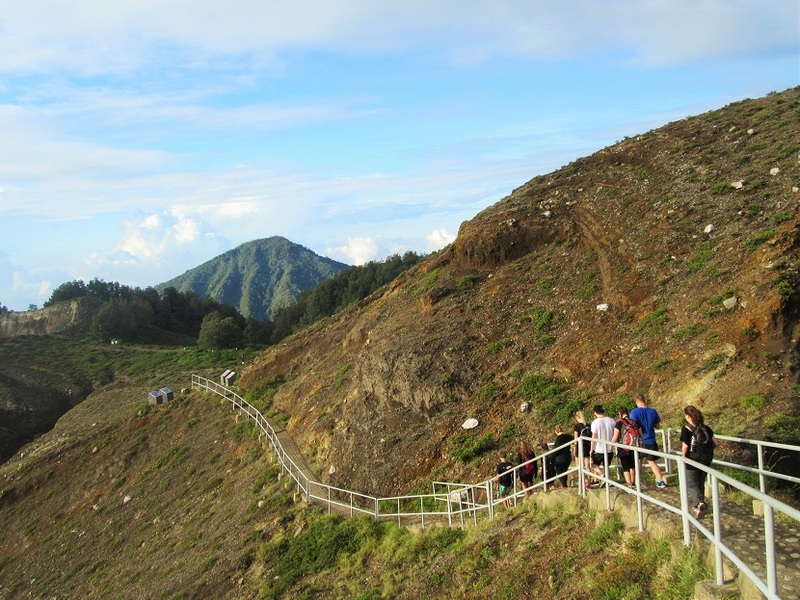 Whatever it is, Kelimutu National Park never failed people who been there to leave the place in awe and wonder. Tiwu Ata Mbupu, the lake which believed as a place for old local soul resting after they died. On our way to going back after enjoying sunrise from the top of Kelimutu lake. It took around 1 hour drive from our guesthouse to arrive in Kelimutu National Park. With such a narrow uphill road, our bus driver was pretty cautious to bring us there. During the way we can see the sky changed it’s colors from dark to reddish into bright blue sky. The walk to the top of the lake also wasn’t bored at all because we passed bunch of green pine tree forest accompanied by beautiful singing of Garugiwa (Bare Throat birds) which we can hear singing so loudly during the walk. A bunch of pictures already made by our gadget and we actually up to another different adventures! The early morning wake up was really worth it!!! 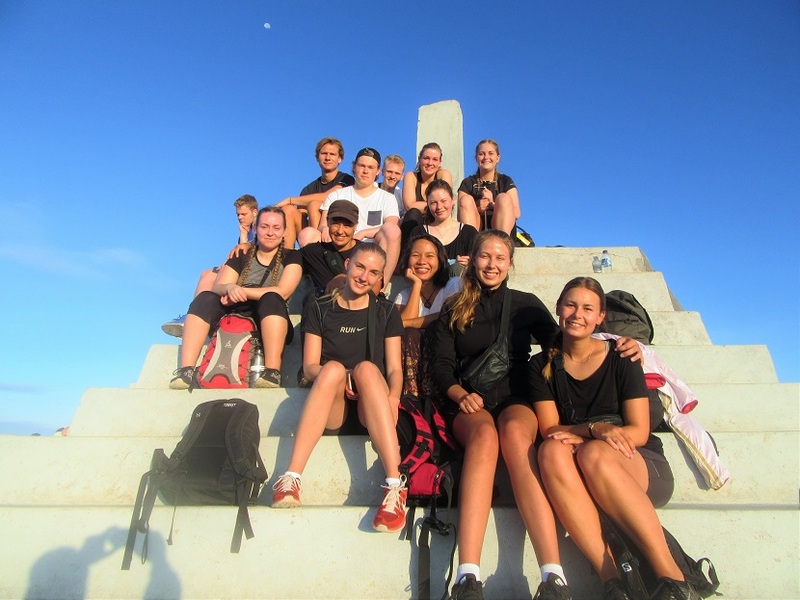 Don’t forget to keep following our journey in Flores, Indonesia! It’s still first days of our 34 days exploring Flores and Bali, Indonesia. We will experience lots of things and create some memories together. Follow our stories to see more about the trip. You also can find us on Facebook or Instagram. Keep traveling, keep safe, keep being curious!